Maria Rodriguez intently watched the status of a flight leaving from Puerto Rico on her computer screen at Catholic Charities. After a notification came through that the flight took off, she let out a sigh of relief. Rodriguez is one of thousands in Southern New Jersey with loved ones who are evacuating, or attempting to evacuate, the island of Puerto Rico. It has been over a month and a half since Hurricane Maria swept through the territory, and the population is still reeling. With destroyed infrastructure and devastated homes, a significant portion of the island still lacks electricity and some of its inhabitants are left with no other option than to evacuate their homeland. With its experience in assisting refugees and immigrants from war-torn areas around the world resettle in the United States, Catholic Charities Diocese of Camden, is well-positioned to provide assistance for those escaping the ravages of natural disaster as well. “Quite a number of people here in South Jersey have relatives in Puerto Rico who are in desperate conditions and are seeking help to temporarily relocate them here in the States until conditions improve,” explained Lynsey Reyes who is leading the effort at Catholic Charities to assist evacuees from Puerto Rico and is the point of contact for all parishes. With an emergency hotline and e-mail address set up, families, individuals, and other agencies have been reaching out to her for services including temporary housing, employment, food, medical assistance, and counseling to assist those displaced by the hurricane. Catholic Charities staff are also serving as boots-on-the-ground in many of the impacted communities. Naisha Mendez, who works for Catholic Charities in the Welfare to Work program and also has family members in Puerto Rico, was one of many Catholic Charities employees who immediately signed up for deployment following the series of hurricanes that swept through the United States’ southern regions – Texas, Florida, Puerto Rico, and the U.S. Virgin Islands — in recent months. 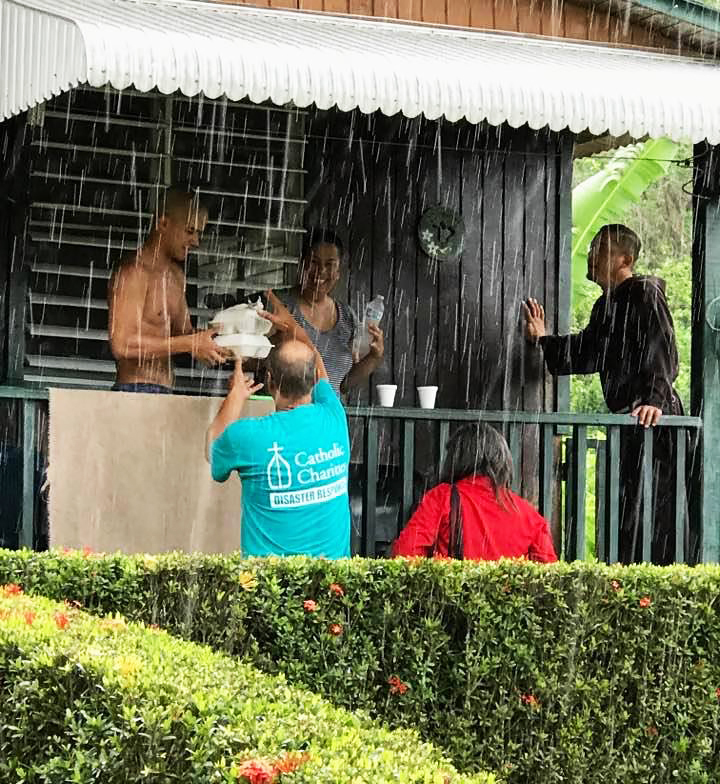 While Mendez currently is working in Houston, helping with disaster case management, two other employees of Catholic Charities, Diocese of Camden, are now in southern territories — Rohan Allen (Virgin Islands) and Jose Sanchez (Puerto Rico) — both of whom have extensive experience in responding to catastrophic natural events. Both were on the front lines of disaster relief during Super Storm Sandy, Hurricane Katrina, and various other natural disasters that pummeled the United States over the years. Sanchez had just returned from a two-week deployment to Texas, where he provided logistical coordination of volunteers, food pantries, supplies and donations, as well as hands-on work such as cleaning and gutting of houses. When Catholic Charities USA started recruiting employees from across the nation to be deployed to Puerto Rico, he was again a natural choice. This time, he will be doing another two-week stint. Catholic Charities USA is the official domestic relief agency of the Catholic Church. 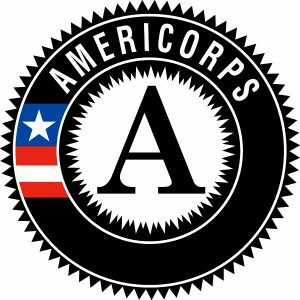 It identifies what skills and services are needed during any given emergency, and local Catholic Charities staff are then recruited for response to meet those needs. For staff member Jeffrey Kates of Catholic Charities, Diocese of Camden’s Veterans’ Services, it was operating a forklift. “Catholic Charities USA’s Disaster Operations team determined that was a need in the Diocese of Venice for staff who had experience with forklifts. I used to operate one at a supermarket where I worked, so I registered for deployment.” he said. Just forty-eight hours later, Kates was on a flight to Florida. In addition to his forklift duties, he was also responsible for organizing, storing, and distributing donations for two weeks shortly after a warehouse was set up. Brian Wagner, Administration and Evaluation Officer of Catholic Charities, Diocese of Camden, was assigned to the Diocese of Venice as well, prior to Jeffery Kates. Wagner was there to provide logistic support. With twelve distribution sites under Catholic Charities, Diocese of Venice, and five drop-off locations, Wagner was responsible for matching the various needs with the specific resources available, and then arranging for actual transport of materials to the designated locations. 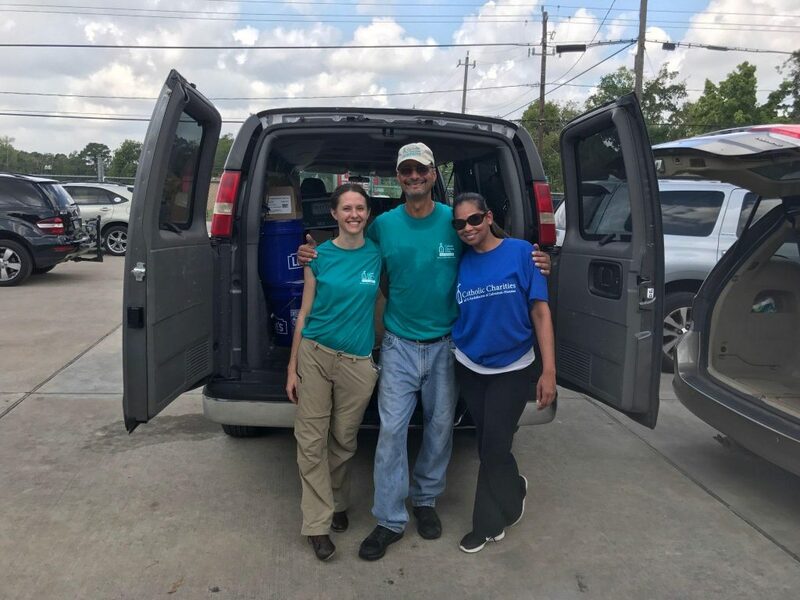 Beth Marshall, Jose Sanchez, and Aruna Malc of Catholic Charities, Diocese of Camden, work in Houston, Texas to provide both short and long term aid to hurricane victims. Other staff from Catholic Charities, Diocese of Camden, who have been recently deployed for disaster relief operations in the Diocese include Aruna Malc, who used her expertise as both a case manager and nurse to provide aid, and Beth Marshall, who assisted in many efforts, including working on the Coordinated Assessment Network database — a program that maintains a record of all individuals and families who were affected by the disaster. For more information about requested donation items, or to learn more about Catholic Charities’ efforts in disaster relief, ways to donate, or to access the Hurricane Maria emergency hotline, click here.